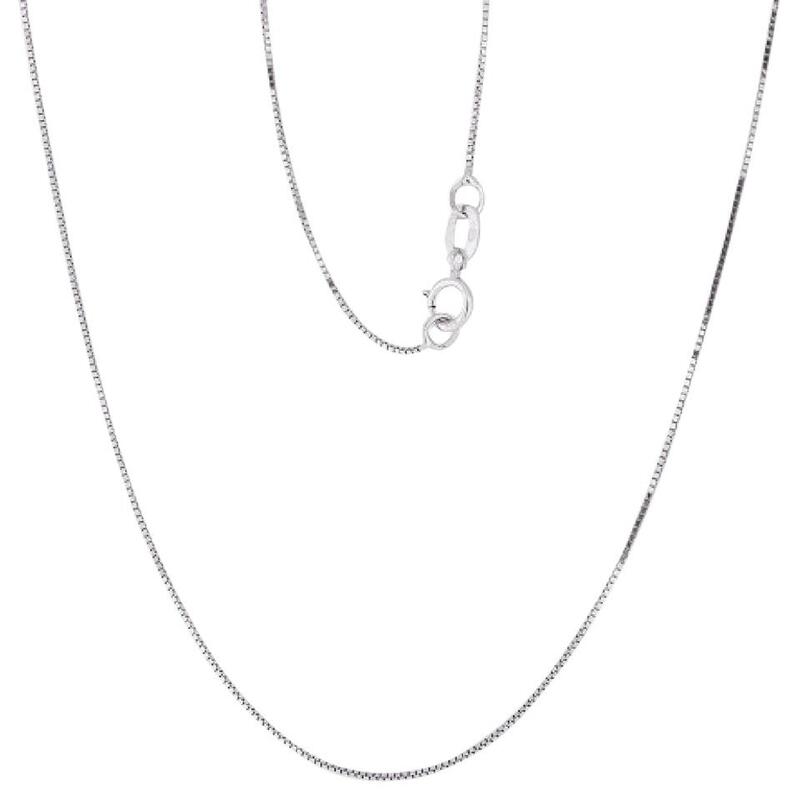 This 18-inch box chain of 14K White gold -simple but elegant look. 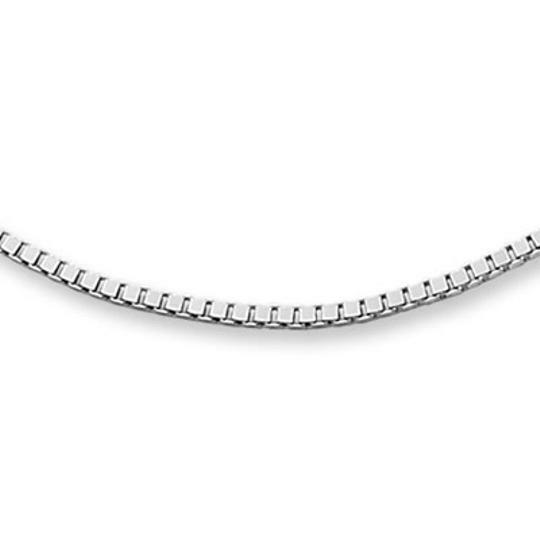 The fine jewelry necklace is secured with a spring ring clasp. Always in fashion goes well with any attire which makes you shine and glitter. 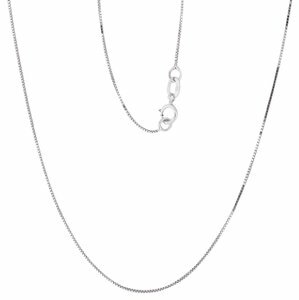 Chain goes very well with any pendant and any attire or can wear just the chain alone.